Tears bathe the eye, washing out dust and debris and keeping the eye moist. They also contain enzymes that neutralize the microorganisms that colonize the eye. These tears are essential for good health and function of the eye. In dry eye, the lacrimal gland or associated glands near the eye don’t produce enough tears, or the tears have a chemical composition that causes them to break down too quickly. This results in a lack of lubrication and moisture on the anterior surface tissues of the eye. 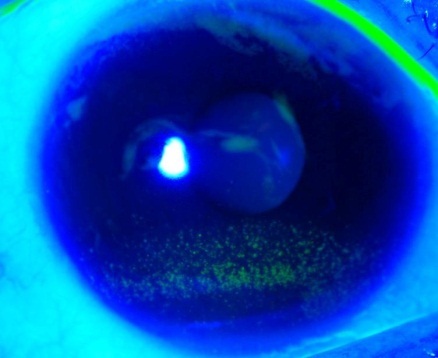 Consequences of chronic dry eye range from subtle but constant irritation to ocular inflammation, infection, or even ulceration of the cornea. Persistent dryness, scratchiness, and a burning sensation in your eyes are symptoms of dry eyes. These symptoms alone may prompt your eye doctor to diagnose dry eye syndrome. Other symptoms of dry eye are redness and “foreign body sensation,” the feeling that something is in the eye. As strange as it sounds, chronic dry eye can cause them to water. This is because dryness on the eye’s surface sometimes will overstimulate production of the watery component of your tears as a protective mechanism. Unfortunately these watery tears do not promote healing and may even worsen the condition. Dry eyes and dry eye symptoms are very common, particularly among older adults and middle age women. A recent consumer survey commissioned by Allergan suggests dry eyes are even more prevalent than previously believed. • 48 percent of adult Americans regularly experience dry eye symptoms. • 42 percent of women age 45 to 54 who have dry eye symptoms report blurred vision associated with the condition. • Women more frequently than men report having difficulty using a computer due to dry eye symptoms (62 vs. 44 percent). • 43 percent of adults with dry eye symptoms say they experience difficulty reading due to their symptoms. • Among adults age 55 and older, 30 percent of men and 19 percent of women say they have experienced dry eye symptoms for more than 10 years. • 19 percent of adults say they use over-the-counter eye drops at least five times per week to treat dry eye symptoms. • 63 percent of adults who use non-prescription eye drops to treat dry eyes say the drops are not effective or only somewhat effective in managing their symptoms. 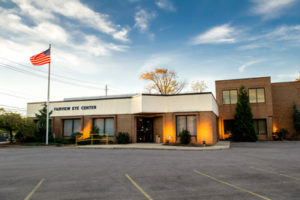 The survey also found that, though dry eyes cause problems for nearly half of adult Americans, many people fail to seek professional help for dry eye symptoms: 69 percent of respondents who experience symptoms said they had not visited an eye care professional for dry eye treatment. Dry eye syndrome has several causes. It occurs as a part of the natural aging process, especially during menopause; as a side effect of many medications, such as antihistamines, antidepressants, certain blood pressure medicines, Parkinson’s medications, and birth control pills; or because you live in a dry, dusty, or windy climate. Dry eyes may also be a symptom of systemic diseases such as lupus, rheumatoid arthritis, ocular rosacea, or Sjogren’s syndrome (a triad of dry eyes, dry mouth, and rheumatoid arthritis or lupus). Long-term contact lens wear is another cause; in fact, dry eyes are the most common complaint among contact lens wearers. Recent research indicates that contact lens wear and dry eyes can be a vicious cycle. Dry eye syndrome makes contact lenses feel uncomfortable, and evaporation of moisture from contact lenses worsens dry eye symptoms. Incomplete closure of the eyelids, eyelid disease, and a deficiency of the tear-producing glands are other causes. • and the inner, mucous or mucin layer. Each layer is produced by different glands near the eye. The lacrimal gland located above the outer corner of the eye produces the lacrimal layer, for example. So a problem with any of those sources can result in dry eyes. Dry eye syndrome is more common in women, possibly due to hormone fluctuations. A recent study also indicates that the risk of dry eyes among men increases with age. Recent research suggests that smoking, too, can increase your risk of dry eye syndrome. With increased popularity of cosmetic eyelid surgery (blepharoplasty) for improved appearance, dry eye complaints now occasionally are associated with incomplete closure of eyelids following such a procedure. Dry eye syndrome is an ongoing condition that is often not curable (depending on the cause). If the dry eye is caused by medications, discontinuing the medicine may completely resolve the dry eye. The first form of treatment is usually artificial tears, which are lubricating eye drops that contain one or more of the various components of tears. Another form of treatment for more severe cases is punctal plugs. Punctal plugs prevent moisture in the eye from draining too quickly by obstructing the normal outflow. Since some dry eye is related to inflammation within the glands themselves, reducing this inflammation can sometimes increase tear production. Omega-3 fatty acids that are found in fish and flaxseed oils have been shown to reduce inflammation and therefore improve the symptoms of dry eye. Restasis (Allergan) is a topical drug which has a similar action in reducing inflammation and therefore increasing the production of tears. Finally, in the most stubborn cases, Lacriserts, which are tiny insert devices filled with a lubricating ingredient (hydroxypropyl cellulose), may be prescribed. The insert is placed just inside the lower eyelid, where it continuously releases lubrication for the eye throughout the day. Since sun and wind may exacerbate the condition, wear sunglasses when outdoors to reduce exposure to sun, wind, and dust. You may want to try the kind that has foam or a seal at the sides and/or a close-fitting, wrap-style frame to keep wind and dust from getting behind the lenses and in your eyes.